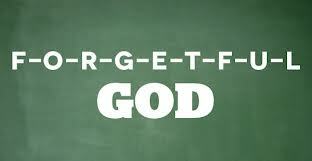 Is God forgetful? He certainly wouldn’t be our omniscient God who knows everything all the time if He forgets things! So how do we reconcile that truth with the following passages? What Isaiah and the author of Hebrews are telling us in saying that God will remember our sin no more is that, once our sins have been covered by the blood of Jesus Christ, God the Father refuses to bring them back up and hold them against us. He will never remind us of our past transgressions; it’s as if He has forgotten all about them. And let me say that if you are being reminded of your sins, God is not the source. It could be Satan, a family member, a friend, or simply someone who wants to hurt you. But it is never God. If you have placed your trust in the atoning work of Jesus Christ, God has promised to remember your sins no more. Another way of saying this is that when we are in Christ, God is no longer our Judge. He is “Abba, Father!” All of our sins—past, present, and still to come—have already been judged in Christ and paid for by His precious blood, shed on the cross for you and me. When Jesus said “It is finished,” He meant what He said! Never again will God hold us accountable for our sins and He will never drag them up from our past. We are freely, fully, and forever forgiven. You see, we don’t need to try to hide our sins or cover anything up. God is faithful to forgive and we, knowing that we are fully forgiven, need only to be faithful to continually confess our transgressions and repent. This is the true freedom the Gospel brings. The next time you remember one of your past sins, remember that God chooses to remember your sins no more. This is living life in the shadow of the cross, which is the only place where the true Light does shine into our darkness.